In the late 1970s (very late), when I arrived earthside, if someone told my mom where I would be today she would have probably laughed. It was August, winter in my hometown, where normal temperatures linger around the mid 40’s. A city of 20million, known as “the concrete jungle” welcomed me into the world and I went on to have a typical childhood of a South American kid. In my country, that included gated community high-rise living, trained dog for self-protection, and very little exposure to nature – the opposite of what many people think when they hear I am from Brazil. The truth is that I had amazing vacation experiences growing up when my family would pack everything in the car and drive across the country to get away from the hustle of the big city, but my actual day-to-day childhood was limited because safety was always a concern. Fast forward 17 years and I landed in North America when my dad brought the family to Chicago while he was working on a PhD. I spoke no English. I knew no one. But I noticed most homes didn’t have a fence, much less an electric one with a locked gate and a guard dog behind it. Life was about to radically change. Eventually, we moved even further north a few years later, and made Canada our new permanent home. I worked at a bank for close to 8 years before figuring out I needed a new career and when I finally made the move, it brought me back to the Midwest. I graduated from NIU in DeKalb in 2010 with a degree in Nutrition and Dietetics and was accepted at the supervised practice dietetic internship program at OSF. It would be a year of no income, living in Peoria, a city I knew nothing about, before I could sit in for my RD exam and become a Registered Dietitian. I made the move to Peoria telling myself – “One year. That’s it. Then I am out of here” But one should never say never, except to say “you just never know”. Midway through the program I met my now husband, who was also a transplant living in Peoria (he is an engineer at CAT). We dated for 7 months, got engaged, and were married 8 months later. We bought our “starter” home that year in 2012 - a modest 1960’s ranch in the heart of town. I was by then working in the clinical field and two years later in 2014 we welcomed our first boy, Landon, now 4 years old. We knew we wanted back to back pregnancies with children close in age and so it was that 15 months later, in 2015, we welcomed our second boy, Luke who is now 2.5 years old. I know I am biased, but our little family feels perfect. Along our road to where we are today, some things became the foundation of our life. Mike and I started believing that we were so blessed, that we actually already had all we ever needed. Our starter home became our forever home, and we got to work on making sure we didn’t live a life focused on things, but that we kept the focus on the experiences. In 2014 we went through the Dave Ramsey program and paid off both cars, then saved for and paid cash for upgrading one of our cars when the family grew, then paid off student loans and got down to just owing the mortgage on our starter home. During that time, our family doubled in size, Mike got an MBA at Bradley and I stopped working full time. We are truly blessed. I work about 10 hours a week outside the home, as a neonatal dietitian at a special care nursery with preemie babies, which is my dream “out of the house” job. 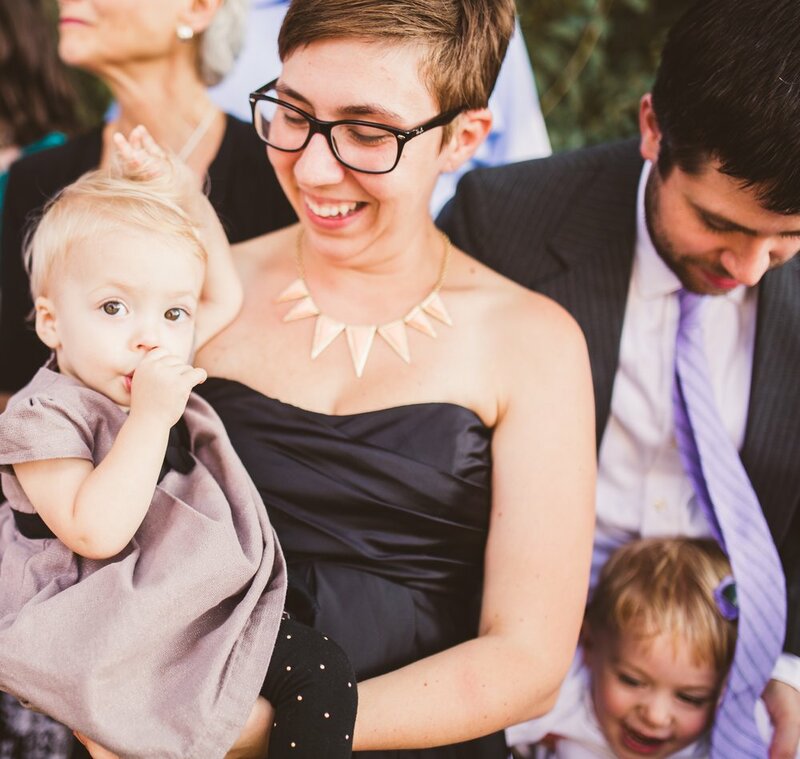 The rest of my time is spent on my primary dream job – my family. 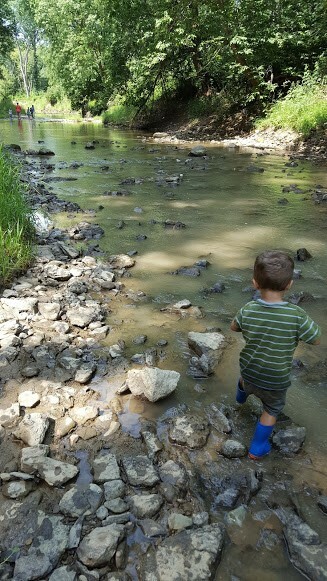 We chose to homeschool the boys and in these early preschool years especially, nature time is essential for them to develop relationships with all natural things around them. We are often hiking and exploring the many green areas, nature preserves, and state park around Peoria, and the boys are thriving on a “school diet” of outdoor life and good reads. We have a growing home library of delightful rich literature which is becoming their favorite hangout place in the house. Outside, they love to identify birds, dig holes on the ground, play in the creeks, cook mud meals, and collect nature finds. They have super interesting discussions about leaf shapes and colors, and love to see how many acorns they can fit in their pockets. My youngest prays for snow every night. If you are not sure if God listens to prayers, this spring is clear evidence that He does. We enjoy travelling and have done so both as a family and as mom/dad only trips. These trips have taken us to South America, Europe, Asia, and around the US and Canada. Last year our US family road trip took us east to the Outer Banks of North Carolina, then enjoying historical towns on the way back and camping at Shenandoah National Park where the views from our hikes were just as amazing as the bear we saw. This summer our family road trip is taking us west, where we will visit the National Parks in Colorado, then enjoy a family reunion in Nebraska on the way back and a few days in one of the thousand lakes of Minnesota. We will also be spending a few days at a family camp here in Illinois with other nature loving homeschooling families and we are very excited for that. I continue to believe that living a simple life leads to living a big life. I continue to believe that experiences shape who we are and that those experiences, second to our faith, are the most important things we can impress on our children. I continue to love my husband even more every day, especially for his desire to raise two Godly men of character out of our children. Where this world of adventure and experiences will take us next, you just never know. But wherever it is, I will make sure I take note of the new flowers and birds I see along the way. My husband and sister planned this amazing adventure from the Midwest to Anchorage on to the Kachemak Bay in Alaska. We were on our way to O’Hare airport with two large suite cases stuffed in the back of our 4Runner. One was full of fishing and camping gear, and the other was packed with clothes. I was a little on edge as Declan had been scream crying for two hours in the car, which was not his usual behavior. Thirty minutes away from the airport we discovered blaring Led Zeppelin’s Physical Graffiti was the only thing that stopped this insanity. Once in Anchorage we met up with my sister, her husband and our eight-year-old niece. Our plan was to pitch our tents down the Kenai Peninsula until we reached Homer. During the summers in Alaska it is easy to stay up late because the sun does not seem to set. This made it easy to stay up until midnight dancing to bluegrass music in Hope. Kyle was in heaven seeing all of the salmon runs occurring and fly fished for sockeye, coho and pink salmon. I was happy to breath in the mountain air, eat fresh berries and salmon, and not to see any bears. Angelic women live in Homer. I mean it. As soon as we sat down at the Mermaid Café, before saying a word, a woman brought our son warm food. It was such a kind and thoughtful gesture. From Homer we chartered a boat to take us across the Cook Inlet to a bay where a yurt would be our home for a few days. This ride was breathtaking. We saw hundreds of salmon, jellyfish, eagles, an otter, a sea lion and a whale. And just like in the commercial, my phone storage ran out while video taping the whale. Usually in the bay you will see hundreds of starfish on the beach as the tide changes. A parasite had been moving up the west coast that summer and we saw none. It was a reminder of the natural balance of life. We made it back home in one piece with a deeper appreciation of the Earth and all of her cycles. Although our son Declan was only 16 months old, we hope it influenced him to appreciate nature and spark a curiosity of adventure. The majority of the trip went smoothly, which I attribute to thinking ahead and conscious packing. That is why Bethany, the queen of adventure gear at Bushbaby, asked me what some of my essentials are when packing for a trip like this one. For the kiddos a micro puff jacket is key for the cold plane ride and when the weather dips at night. The technology makes these jackets warm yet easy to stuff into a corner of a bag or used as a pillow. Our little one also packed boots, socks, a stocking hat, gloves and a rain jacket from Bushbaby. Two to three pairs of Smartwool socks are very important. They can go longer without washing and are very warm. A lightweight rain jacket with a hood will keep your kid dry and is an easy layer to pack while keeping your load light. In order to navigate our toddler, a diaper bag and luggage through the O’Hare parking lot, we bought a second hand Kelty kids carrier from Bushbaby. Once we checked it as luggage (kids gear checks free) we had our packable Ergo as transportation for Declan. Both carriers were used throughout the trip on hikes. In order to support our immune systems and keep calm while traveling we made sure to pack a few of our favorite Young Living essential oils as well as some portable chiropractic equipment (all four adults on the trip are doctors of chiropractic). The oils I packed included Australian Blue, Thieves and lavender. Of course we packed lots of healthy, organic snacks such as nuts, apples, dehydrated fruits and veggies. Being as we were dropped off in the middle of nowhere without cell reception, the adults brought a first aid kit including sewing necessities, fire starter equipment, pocket knives, fishing gear, sleeping bags, rope, garbage bags, polarized sunglasses, cameras and a bear gun. If getting out in Mother Nature and sleeping under the stars sound fun to you, but you have never done it before, my advice is to start local. We have a lot of great places to camp in the Peoria area. The more you camp the more you learn what a necessity to pack versus a pleasure is. For our family camping is a great way to reconnect to each other. Hello! I'm Cara Davis, SAHM and avid Bushbaby fan! I was born and raised in a small rural town in Pennsylvania called Huntingdon. It's in the backyard of PSU’s Happy Valley and the home of Lake Raystown, the largest man-made lake in Pennsylvania. I've spent loads of time in the wild as a child roaming through creeks and fields and mud. My mother was a big advocate for children being outdoors as the phrase heard almost daily was "Will you kids just go outside!" Fast forward a few years, quite a few, and I've found myself in Peoria, IL, married to an Indiana boy. We've done our best to raise a well-rounded, well-mannered English Bulldog, Gilda, but failed miserably on the well-mannered part. In an attempt to do better with our other babies, I've placed my nursing career on hold indefinitely to stay at home. We now have a seven year old, Jack and a five year old, Ava. In a recent interview of a local mother, her occupation was listed as “professional volunteer”. Ha! I’m going to add that to my resume, too! After some trial and error through the toddler years, I have learned that my mom was right! Just go outside! The most miserable days full of tears, arguments and frustration can be turned around in a matter of minutes with a little trip into the outdoors. There is something calming and centering about being in the midst of God's creation. It seems to reset our moods and put smiles back on our faces. With Spring in the air (supposedly) and Summer on the horizon we look forward to more adventures. Our Summers are kicked off at the Indianapolis Motor Speedway watching fast cars and cheering for the pink one. My husband loves sharing this part of his childhood with us and hopes that the kids will love watching the Indy 500 as much as he does. The track is such an exciting place! From here, we will make our annual trip back to Pennsylvania where the pace is much slower and the outdoors feel much closer. Mom, now nana, and pappy have kept the same philosophy from my childhood and many activities involve just being outside. Tending gardens, having cookouts and exploring pappy's "back 40" make for a great start to our Summer. We are also looking ahead to future plans of traveling through national parks with an RV! This has been on our bucket list for a long time and we cannot wait to explore even more of our country! But, for now, I will keep my fingers crossed that Spring will actually happen this year and count down the last few days of school until Summer Break! We enjoy looking for new places to explore but we also have some favorites. The kids love the "princess steps" at Forest Park. I have no idea why they call them that but all of those railroad ties must lead to a castle, right? Hiking the trails at Jubilee, splashing through the creek behind our house or just digging in the dirt are a welcomed change of pace. We've found that one place we can explore over and over is Wildlife Prairie Park. Adventures there are endless. We can go and wander through the trails or eat a packed lunch by the bison or spend the whole time just going down the Gollywhopper. The key to a successful trip outdoors is to have the right shoes, layers and to be prepared for getting dirty! Bushbaby has been amazing at helping us find the right tools to enjoy the great outdoors. Everyone's sense of adventure and toothy grin will quickly emerge, once you've headed outside! Hubby, Children? I’ve been with Ben for 12 years and married for 10 in September. We have 2 girls. Scarlett is 7 and my complete mini me and Annika is 5 and laid back like Ben. Passions, career? I love to read, I always have a book or 2 going. It calms me. I also think family & friends are incredibly important. We are with either/all a lot. For work, I’m a satellite manager at Prep.Freeze.Cook by day and my passionate love to do “job” is Nurtured Baby Boutique. I love helping mamas get into cloth diapers or get that perfect fit with a carrier. Best part of being their mom? The girls make me smile every single day. I can be having the worst day and they come home from school and just make it better. They’re both happy kids and SO busy. I can’t help but be happy with them. Spring + Summer plans for the family? CAMPING!! We are all so ready to get our tent out! Helpful activities to keep your girlies active, to pass along to other families? We do a lot of reading and coloring. Even out camping they have books and crayons. Scarlett is really into spelling right now. We use erasable boards/markers for her to practice even in the car if she wants to! I was born in Dayton, OH and went to school in the surrounding suburbs. I stayed in that area through college, and then moved to Cincinnati, OH in my early 20s to be closer to work. I could never see myself going to a 4 year school, so I went to community college. I got an associate’s degree in business management – network management from Sinclair Community College. While there, I worked a full time internship as a network administrator and fell in love with email systems. Yep, I’m super cool. I took a consulting position for a company in Cincinnati, OH. When I moved to Illinois, I worked from home, and then we bought a house out in the country. I quit my job. We had big dreams of living a more homestead lifestyle and seeking out new adventures on the weekends. Our expectations of what one person can accomplish proved to be a little unrealistic, but I’m still here… hustling to do what I can the hard way and trying to teach a couple littles how to be decent humans. I love all things food. I am an aesthetic enthusiast. I am passionate about giving new life to things others have discarded. I love to create things. When you put all those things together, I become a pretty rockin party planner. Say what? That palindrome was the beginning of what my life looks like these days. In my mid 20s I joined a dating site even though I had no interest in a relationship. Some random guy that lived in Peoria, IL sent me a quirky email that started a 2 month long conversation. I decided it was obviously a good idea to invite him to stay with me for a long weekend and at the end of that weekend, Jamie and I had already settled into an old married couple dynamic. After doing the long distance thing for a while, I moved to Peoria, we bought a house on a little piece of land outside of Mackinaw, and here we plan to stay. We have two little adventurers in our family. Finch is 3… soon to be 4 and Wren is 2.5. They love nothing more than when they get to help set up our tent or have the opportunity to get real dirty in a creek. So much of my time as a parent is spent trying to channel the patient person I thought I was before small humans entered my life. I had this idealistic expectation of what an awesome mom I was going to be, and I am… but it isn’t all rainbows and sunshine over here. I am used to excelling at the things I undertake… being able to step back at the end of a project and feel proud of the work I have done. For me, parenting is nothing like that. Sure there are days where I feel like I am crushing this mom thing, but more often than not I am just trying to keep my head above water. By becoming their mom, my kids have forced me to realize that I have to let some things go, lower my own expectations of what I “should” be able to do, and how important it is to take the time to just get lost in all the wonder that is around us. Without them, I don’t think I would have pushed myself to slow down… but now that I have I am forever thankful. Helpful Activities to keep your little ones active, to pass along to other local families? This year we have been on a mission to explore a lot of different parks in the area. I have been focusing on one area at a time and then trying to make time to visit all the different places listed on the community’s parks and recreation page. Not growing up in the area, I have no idea what the “good” places to go are, so it has been nice to spend time finding what works best for our family. There are so many places around and many of them are underutilized. I prefer parks a little off the beaten path that don’t get a lot of foot traffic. That way, I can be more of an observer while the kids explore more independently. As the weather gets colder, we will likely rely on some trusty favorites to run the crazies out. Last year, we really enjoyed the toddler time at the Morton Indoor Soccer Complex and our membership at the Peoria Playhouse. Favorite fall adventures for your family? The highlight of our fall is a big campout we host at our property. Since both my husband and I are imports to the area, it started as a way to see folks we otherwise don’t get the opportunity to visit every year and as we make new friends locally, the guest list grows. When we first started doing it, nobody had kids, but these days the majority of people who make it have littles. For a lot of them, it is the first place that they experience camping out as a family. Planning a camping trip with babies and toddlers can be an overwhelming step to take, but here there is a backup plan if it is just not working. For many of the kids, this will be their 4th year coming to the campout, and as they get older it is so fun to watch them truly excited to spend the entire weekend outside… becoming experts at “roughing it” in the great outdoors.